PENDER ISLAND – Traceability regulations are right around the corner. The promise is something livestock producers have heard before, but this time the Canadian Food Inspection Agency (CFIA) says it’s the truth. Sometime within the next year, regulations will require more than just an approved ear tag. Premises will have to be registered and movements of animals reported to the Canadian Livestock Tracking System (CLTS) if producers expect to purchase or sell livestock. 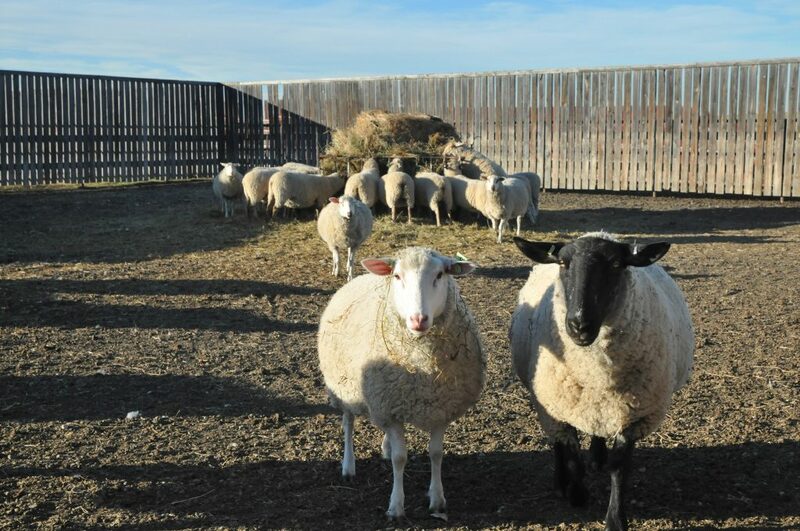 “Producers tell me that we’ve been talking about changes in traceability regulations for a long time and many are at the point where they just want to know what the regulations are going to be and what their obligations are,” says Canadian Sheep Federation executive director and Canadian Cattle Identification Agency (CCIA) board member Corlena Patterson. Patterson and Levesque are both members of the industry-government Regulatory Implementation Committee (RIC) formed to identify and prioritize actions to help prepare for a smooth implementation of the amendments to the federal health of animals regulations. Draft regulations should be released later this year, and a 75-day comment period will follow. The final regulations will likely be published and take effect sometime in 2019. Traceability is the ability to trace an item – animal, plant or product – through the supply chain, from farm to fork, backwards or forwards. The purpose is to provide accurate and timely information to reduce the impacts of a natural disaster, disease outbreak or a food recall. In the case of a serious situation, such as a reportable disease like BSE (bovine spongiform encephalopathy, or ‘mad cow’ disease) or scrapie, animals would be traced back to the home farm and sites in between. Stock that came in contact with infected animals would also be identified through the tracing system. The system depends on the traceability of animals, the premises where they’re located and movements between premises to be identifiable and tracked. Animal movements will have to be reported to the responsible administrator (with only a few exemptions), and a manifest (paper or electronic) that details the movement will need to accompany animals in transit. Subject premises include farms, auctions, assembly yards, fairgrounds, abattoirs and rendering plants. These three parts to traceability – identification, premises, movements – allow the tracing of an animal through the supply chain. If the system works well, the impact of an event on the livestock industry can be minimized and market access can be maintained. BSE cost livestock producers across Canada upwards of $6 billion in 2003. Current estimates peg the cost of cross-species outbreak of a disease like Foot and Mouth at up to $45 billion. The new regulations will address gaps in the current livestock identification and traceability system. Proposed regulatory amendments include identification requirements for goats, farmed deer and farmed elk, which increases the number of animals subject to traceability requirements. Regulations have already been in place for identification of bison, cattle, sheep and pigs. The pork industry in BC and the rest of Canada is ahead of the pack with Pig Trace, a mandatory traceability system in place since 2014. The rest of the livestock industry currently has a broken system, however. Sheep producers, for example, purchase approved RFID tags and the tag information is stored in the CLTS. Although producers are required to keep records of movements, they aren’t required to report to CLTS. Moreover, livestock species that share diseases are not currently all subject to traceability requirements; the time to report an event is too long to support an effective response; information about the precise location of livestock is limited; and information on domestic animal movements is lacking. The new regulations also promise to reduce the maximum time to report a tag replacement, movement or animal death to the responsible administrator from 30 days to seven. In Canada, premises ID falls to the provinces. 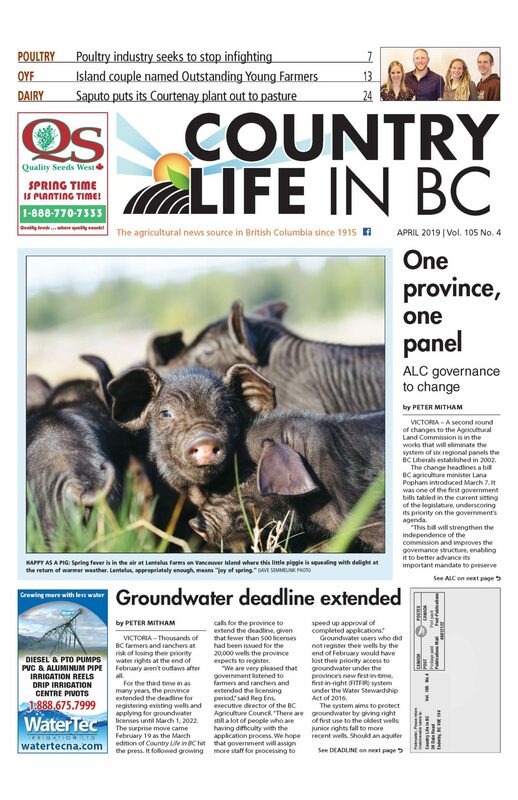 BC has made it voluntary but producers will need to register their farms and provide a premises ID number if they want to move livestock to other locations. Registration of the premises can be done by mail or online in a simple 10-minute process that provides producers with unique identifiers for their locations. Premises ID proved its worth during last year’s natural disasters. According to the BC Cattlemen’s Association, the Cariboo wildfires resulted in almost full registration of its members within days last summer. To report animal movements or purchases of new animals, producers and other livestock facilities will need to report to the CLTS system online or by telephone. The new Canada Agricultural Partnership (CAP) is expected to have cost-share funding available to assist individuals and organizations purchase equipment and management software to help make the reporting process as easy and accurate as possible.